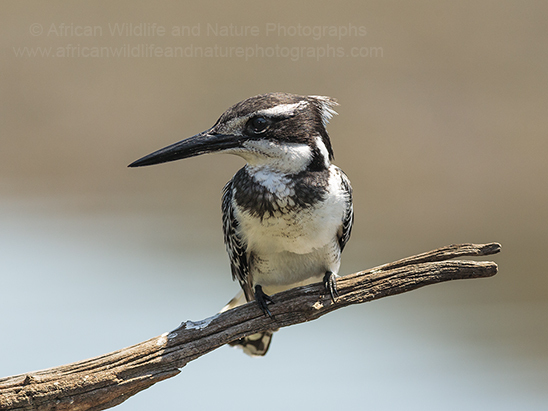 The Pied Kingfisher (Ceryle rudis) is probably the most recognisable and thus consequently the most photographed of resident Kingfishers in South and Southern Africa. The Pied Kingfisher is one of about 10 species of Kingfisher that are seen in South Africa, some however are intra-african migrants the most famous of these being the stunning electric blue colours and distinctive call of the 'Woodland Kingfisher' a species which are a favourite and a part of the South African Bird Migration anticipated by birders in South Africa each year. It was the call of the Woodland Kingfisher that got my wife and I interested in birds and birding initially. Did you know that most Kingfishers are not found near water and don't necessarily eat fish! I will keep that for a later post though. Back to the Pied Kingfisher, this bird is called 'pied' due to its distinctive black and white markings (known as 'pied' in the birding world) and the Pied Kingfisher is really unmistakable when seen flying and producing its distinctive 'chirk-chirk' call or hovering over any African body of water, although its range also extends into south and southern Asia. In fact it is estimated to be the third most common of kingfishers worldwide it is said. Although basically a two-toned bird it is possible and quite easy to distinguish at the very least the difference between a male and female Pied Kingfisher when seen. 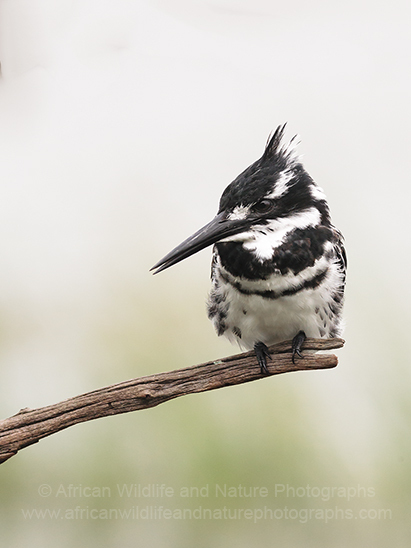 The male Pied Kingfisher has two full black breast bands, with the female having just a single incomplete black band on the breast. So the next time you come across a Pied Kingfisher have a closer look, male or female?